Nothing heats like wood. 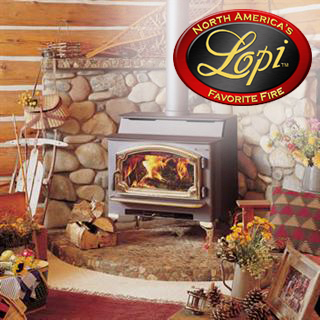 Lopi (pronounced Low-pie) wood stoves warm the coldest days, brighten the darkest nights & fill your home with the gentle, radiant heat only wood can produce. With styles & installation choices for every room in your home, Lopi helps you declare yourself free from high heating bills! 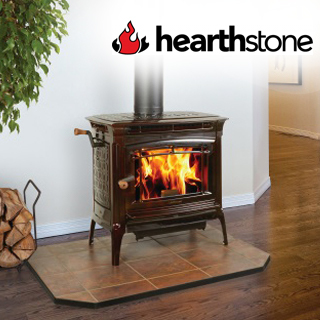 All wood stoves manufactured by Lopi are certified by the EPA and are designed to emit only a fraction of the smoke that older, non-certified stoves produced. Burning wood emits no more carbon dioxide into the environment then would normally be produced from the same wood if left to decay in the forest. You can feel confident to know that burning wood is truly Carbon Neutral to the environment and a responsible and sustainable way to heat your home. 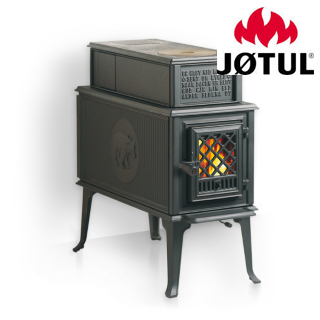 Jotul has a large selection of cast iron wood stoves. Manufactured in Norway since 1853.